Low Carb Chili — Even Tastier Than The High Carb Version! 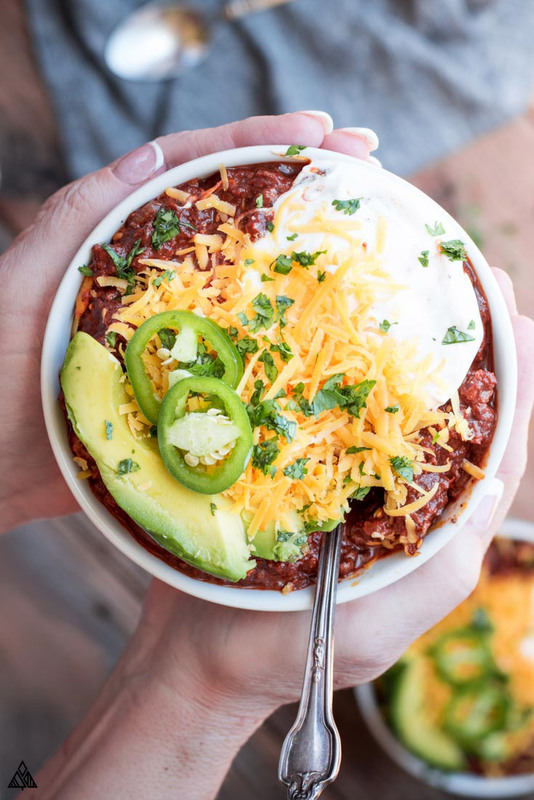 Low carb chili is a soul soothing meal, full of meat, spices and saucy flavor — the perfect recipe to warm us from inside out and keep us full and happy for hours to come! Although beans are often the foundation of chili recipes, this low carb chili uses meat instead — and trust me friends, after just one spoonful of this low carb chili you’ll be glad they’re gone. Protein packed, meal prep worthy, delicious, cheap and easy, low carb chili is the perfect dish to keep the entire family happy, satiated, and full! 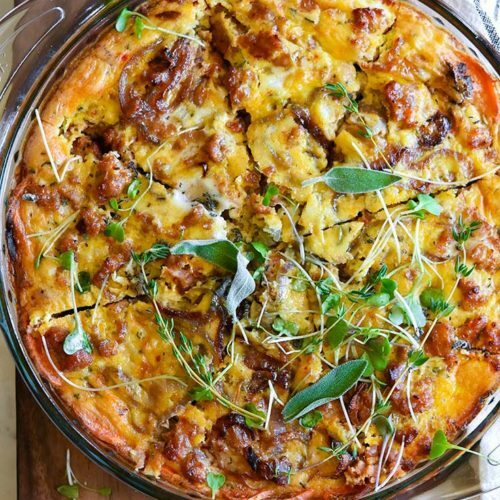 So let’s get simmering one of the tastiest of low carb recipes! This low carb chili is as straightforward as they come! 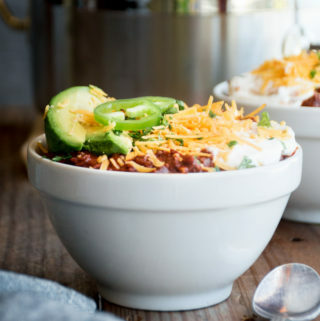 But, there are a few important tips to know before getting started, that can transform this low carb chili from good to AMAZING. Add beef to a large saucepan and cook over medium heat. You may want to do this in batches so the meat browns vs. steams — trust me, this makes a big difference in flavor! As the meat cooks, break it up with the back of a wooden spoon, or, buy one of these nifty meat choppers. I LOVE these things! You’ll know the meat is done once it’s no longer pink — remove it to a paper towel lined plate and set aside. If there isn’t enough grease left in the pan, add some veggie oil (I prefer avocado oil), to saute the veggies. 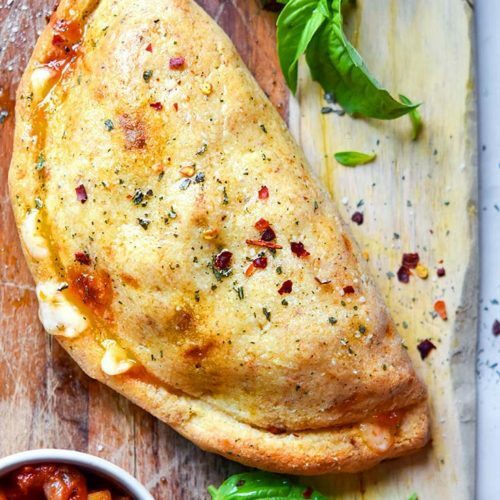 Now, you may be tempted to skip this step. But cooking the aromatic veggies (onions and garlic) in this low carb chili before adding liquid helps to brown and caramelize their surfaces, resulting in more flavor! 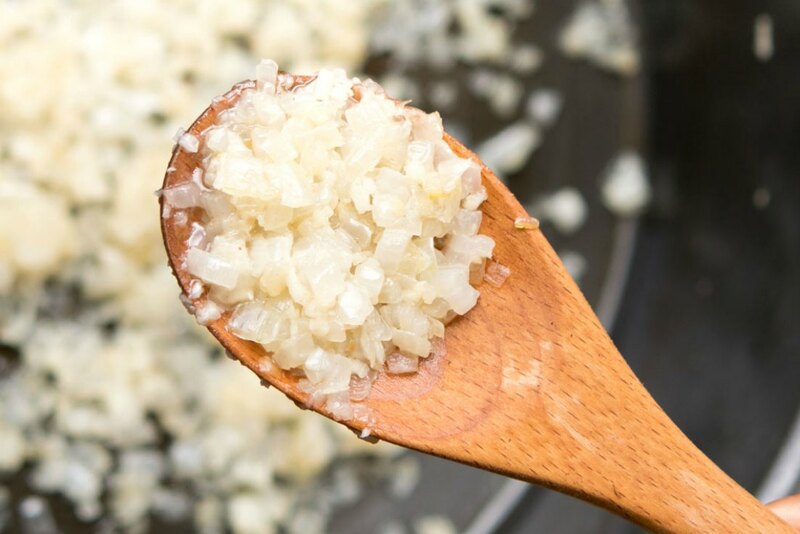 We’ll add the garlic towards the end, as it doesn’t require as much time to cook and can burn easily. Another recipe trick that makes a HUGE difference in flavor is to toast the spices before adding in liquids. It’s a quick step — should only take a minute or 2. You’ll know they’re nice and toasted when they become fragrant. Pst, be sure your spices are fresh, as they can go bad! Stale spices = bad low carb chili. 4. Add everything back into the pan. Know we’ll add the meat, diced tomatoes, chicken broth and bay leaves to the pan. Give everything a good stir and reduce the heat so the low carb chili is simmering. Cook it this way until it’s reached your desired consistency. This trick to a flavorful low carb chili is cooking it low carb slow. This allows the liquid to escape, and all the flavors to marry together. The cook time will vary a ton, depending on how thick your pan is, how much moisture is in the air, how much liquid you cooked out of the veggies, and the simmer you are cooking your low carb chili at — it takes me between 1hr 45min to 2hrs until the chili is as thick as I’d like. Alternatively, you can cook low carb chili in a slow cooker! Simply brown the meat and saute your aromatics — then toss all the low carb chili ingredients in the slow cooker on low heat for 8 hours. Low carb meal prep is extremely helpful in staying on track — and this chili without beans is ideal for that! Make a double batch, heck even triple! Allow the low carb chili to cool in the fridge overnight, then portion it out into labeled baggies and toss them into the freezer. Next time you and the fam are looking for low carb dinners, just place this chili recipe no beans in a pot with some chicken broth and break it up with the back of a spoon. Cook low, slow, and uncovered. This will help to cook off some of the liquid. Alternatively, you can let the low carb chili defrost in the fridge the night before you plan to eat it. Due to the beans, beer and corn, there are an awful lot of carbs in chili when traditionally prepared. Unfortunately, even tomatoes are high in carbs. According to the USDA Nutritional Database, 1 cup of chili has 33.8 grams of carbs — and who the heck eats just one cup?? Check out the nutritional info for this low carb chili before the recipe — you’ll be pleasantly surprised! First and foremost, let’s cut the beans, because there are a lot of carbs in chili beans. And the flavor in chili comes from the spices, broth and meat anyway — beans are there as a filler to add carbs and calories to the dish. Whether you eat carbs or not, many find no bean chili even more delicious — in fact, Texans have been making their chili this way all along! 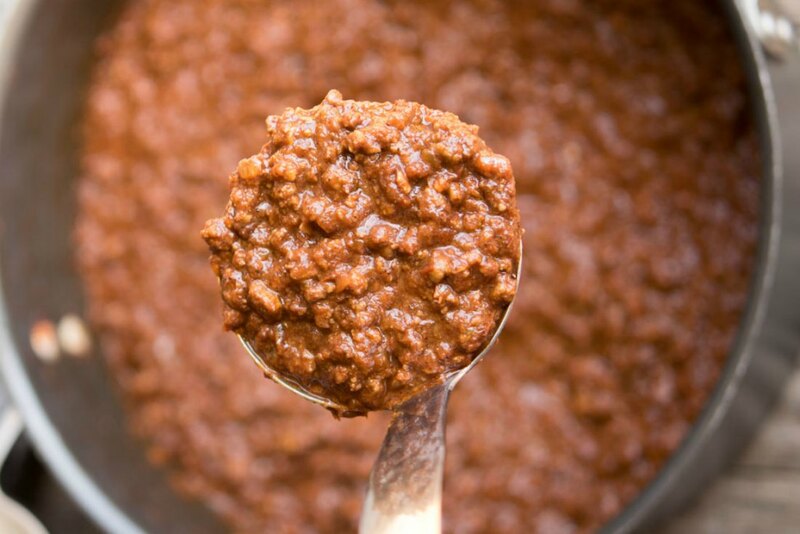 Another carb heavy ingredient in traditional chili is beer, which is used to add a flavorful liquid to the equation. 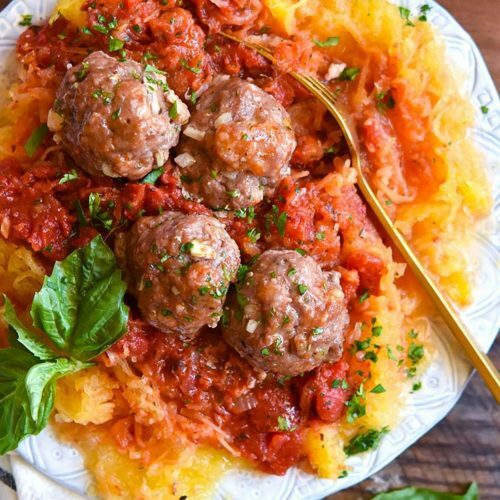 Yes, most of the alcohol cooks off as the dish simmers, but what about the carbs? Either way, beer isn’t on your low carb shopping list, so let’s swap it with a less carb-y, just as flavorful liquid: chicken/beef broth! If I missed your favorite topping, let me know in the comments below! Add More Low Carb Vegetables — Mushrooms perhaps? Bell peppers? 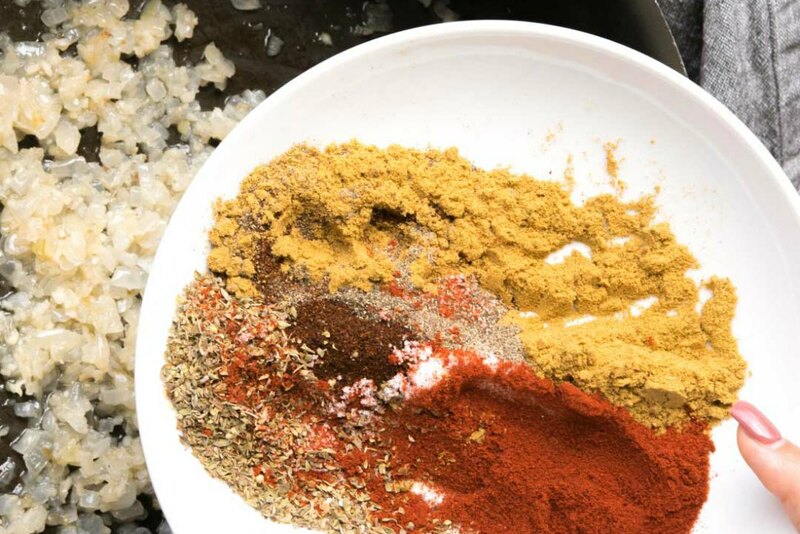 Spices — Leave out, swap, or increase the spices as you see fit. If you’d prefer a spicy low carb chili keto recipe, then crank up the chili powder, or swap it with cayenne pepper. Those of you looking for a low carb chili canned to grab from the store, here are the best options I’ve found, although both of these are considerably higher in carbs than this low carb chili recipe! Alright friends, let’s get cooking! 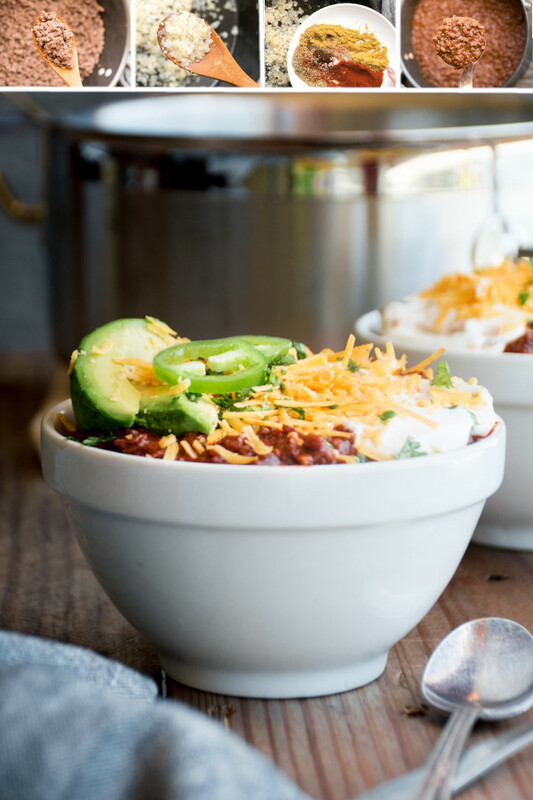 I hope this low carb chili recipe atkins would approve of will keep you warm and cozy all year round. 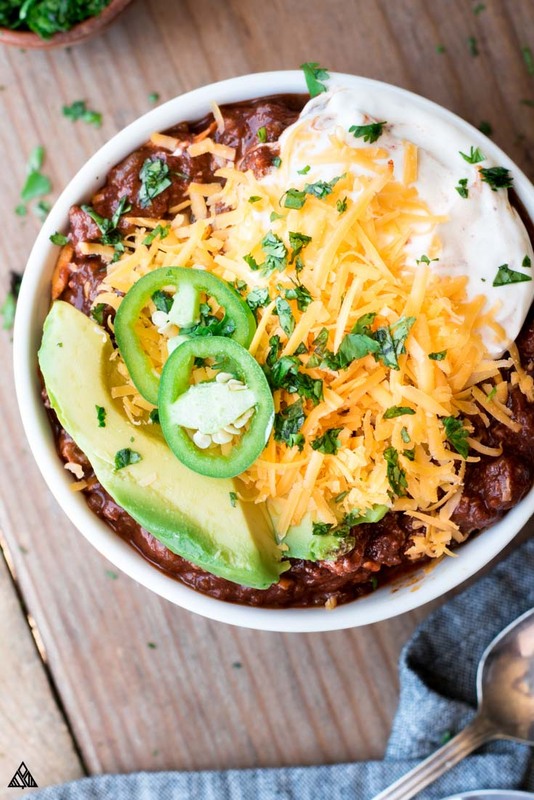 What toppings did you add to your low carb chili? Did you try any variations? Let me know in the comments below! 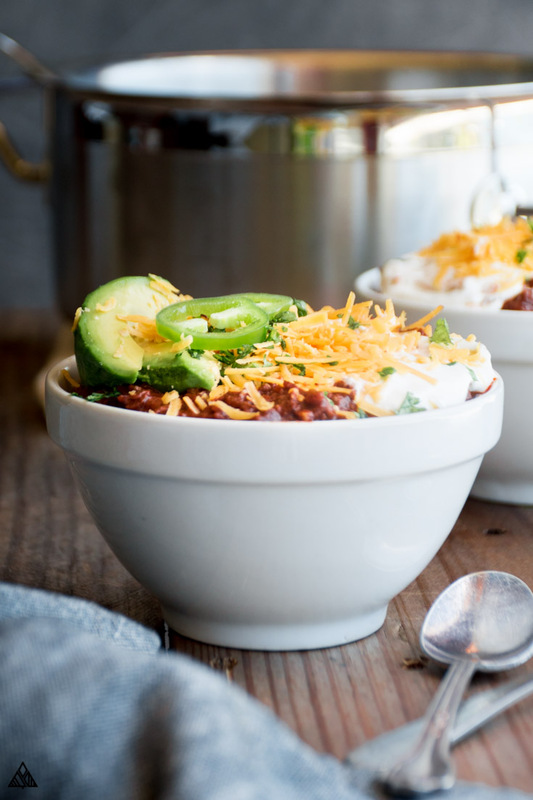 Protein packed, meal prep worthy, delicious, cheap and easy, low carb chili is the perfect dish to keep the entire family happy, satiated, and full! 1 Tablespoon Cayenne Pepper more if you like spice! 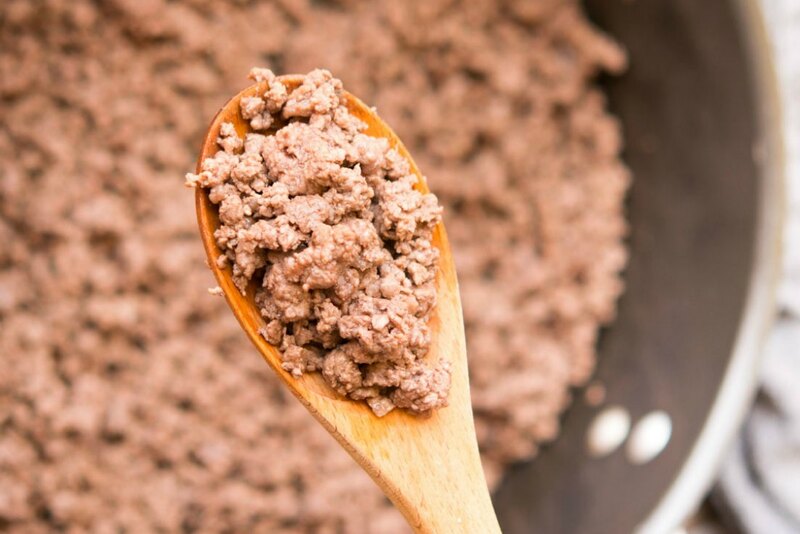 Add beef to a large saucepan and cook on medium heat. Break the meat up with a wooden spoon as you brown. Once meat is no longer pink, pull it out of the pan and place it on a paper towel lined plate to remove any excess grease, leaving grease in the pan (if there isn’t enough grease left, add some vegetable oil). Add onions and bell peppers. Cook until onions are translucent and soft. Add garlic, cayenne pepper, cumin, paprika, and oregano. Stir until fragrant (about 1 minute). Add meat back to pan with salt, pepper, diced tomatoes, chicken broth, and bay leaves. Bring contents of the pan to an aggressive simmer, and simmer uncovered for 1 hour, 45 minutes to 2 hours — or until the sauce is thick (see note below). ** Cook times vary based on the size of your pot, the type of pot, your burners and the type of simmer. The time listed above is how long is took me to cook the chili until most of the liquid evaporated. You may need to cook it longer to achieve the same results. This chili isn't super spicy. If you like spice add more cayenne pepper. To cut some carbs: Add less onion. The bell pepper can be left out. Tasts great but a little too spicy. I will try using half the cayenne pepper next time.